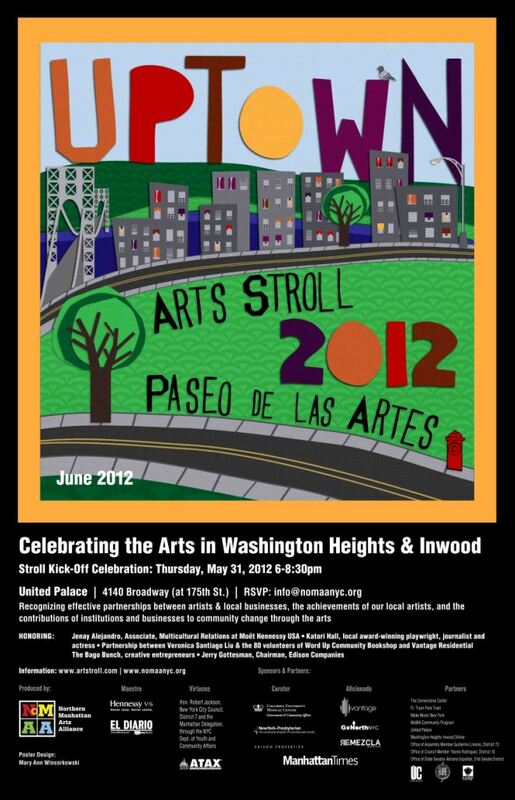 Word Up is an honoree at the Uptown Arts Stroll Celebration—Tonight! Please join the Word Up Collective at the Uptown Arts Stroll Kick-Off Celebration at United Palace, 4140 Broadway @ 175 Street, TONIGHT from 6 to 8:30pm. Word Up is one of the honorees of this year’s Stroll, along with the Bago Bunch, Jenay Alejandro, Katori Hall, and Jerry Gottesman. We will celebrate the Stroll with a running(!) start, and eat, drink, dance, and lay the groundwork for future uptown awesomeness.